For the first time since the distilleries' creation in 2015, the Ogilvy farm and distillery will be able to showcase their story of a sustainable traceable from field to bottle vodka. Visitors will take in the tour of the working farm and distilling process on a tractor and trailer, before rounding-off their visit in the boutique vodka tasting room. The distillery and visitor centre are currently on track to open for its first tours in October and demonstrates some of the ambitious plans for the vodka in the future. Graeme Jarron, farmer and founder of Ogilvy said: ‘With the launch of the V&A in Dundee and around 100,000 people flocking to visit our neighbours at Glamis Castle each year, there is a fantastic opportunity to share the story of Ogilvy farm and the Vodka and help make Angus an exciting destination area for tourists and locals alike. As farmers, Ogilvy are passionate about provenance and the funds will be used to teach future generations about rural life and where their food comes from. Ogilvy Vodka was founded by the Jarron family who have farmed the land at Hatton of Ogilvy since 1910. 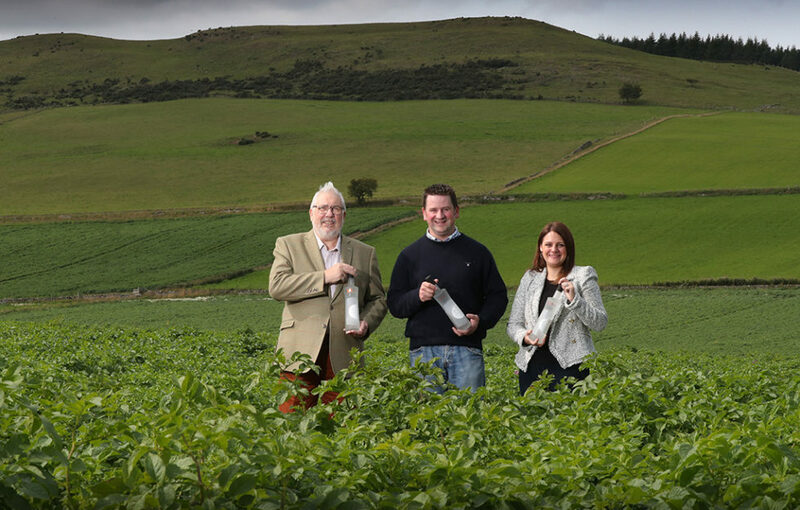 Frustrated with the wastage of potatoes that weren’t aesthetically-pleasing enough for supermarket sales, the team partnered up with Heriot Watt University to start producing Scotland’s first potato vodka before launching to market in 2015.